The universe seems to be telling Charlotte Gainsbourg not to make music. All the ingredients for a doomed career are there. She had no choice but to be born into the shadow of her famous musician father—the late, great Serge Gainsbourg—which meant she would be hard-pressed to be taken seriously as an artist in her own right. But Charlotte Gainsbourg managed to surpass the expectations of any possible detractors by embarking on a successful career as an art-house actress. Ah, but here lies another hurdle in her path to serious musicianhood. How many film stars—art house or otherwise—have tried and failed to cross over into the music world? As if that wasn’t enough, in 2007 the universe appeared to be telling Gainsbourg not only that she wouldn’t be able to sustain her life in music, but she might not be able to sustain her life at all. A brain hemorrhage brought on by a minor waterskiing accident threatened to destroy any dreams of making music, not to mention her health. Luckily, she survived. A successful surgery saved her life, but the experience would leave an impression on her running deeper than her scars. The result was 2009’s IRM, named for the magnetic imaging device inside which she spent much her time during the ordeal. The Beck-written/produced record brought the actress-singer widespread critical acclaim by showcasing her vocal talents and highlighting her ability to operate within multiple genres. Now comes Stage Whisper, Gainsbourg’s third album (fourth if you include her 1986 debut Charlotte For Ever, released when she was a teenager). The record is a double LP, but does not contain wholly new material. Rather, one half of the album is made up of unreleased tracks from the IRM sessions, while the other half contains a live performance from her 2010 summer tour of Europe. The studio album side may be made up of tracks leftover from Gainsbourg’s last LP, but they are definitely not b-sides. The record kicks off with the Beck-produced “Terrible Angles,” a song that opens with a breathy note from the singer and some distant percussion before a rapid sequence of electronic sounds and fuzzed-out bass shatter the calm. “White Telephone,” featuring an arrangement that somehow feels simultaneously grandiose and sparse, feels like it would fit nicely on any Bjork record. But Gainsbourg owns the song with slightly detached vocals that amplify the track’s loneliness. Aside from Beck’s contributions, the album also features collaborations with Charlie Fink (Noah and The Whale), Conor O’Brien (Villagers) and Connan Mockasin. The live side of the record gives fans that weren’t able to witness Gainsbourg on tour the opportunity to see what they missed. It celebrates the singer’s career thus far by including selections from both 5:55 and IRM. Among favorites such as “Trick Pony” and “Heaven Can Wait,” the record also features a live performance of Bob Dylan’s “Just Like A Woman,” a track she previously contributed to the soundtrack for I’m Not There, which she starred in as well. The record is not necessarily a must-have for casual listeners of Gainsbourg’s work, but enthusiasts will delight and those unfamiliar will be greeted with a pleasant, well-rounded introduction to her material. 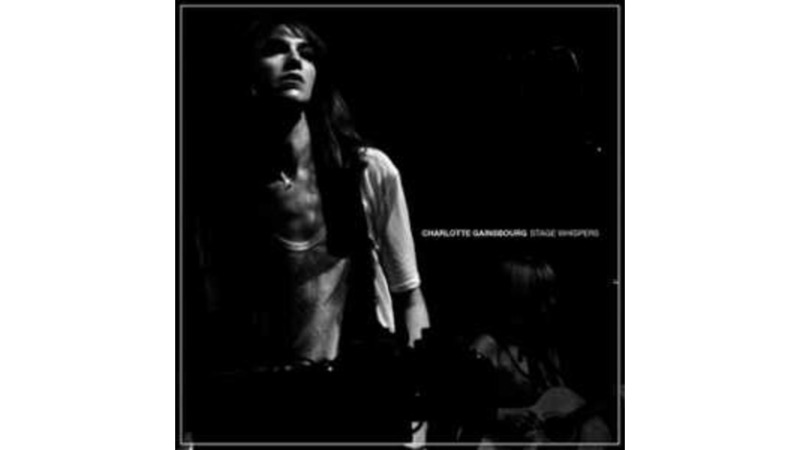 Stage Whisper may not be the full-album experience fans of IRM were hoping for, but Gainsbourg makes up for it with the sheer wealth and variety of material presented.